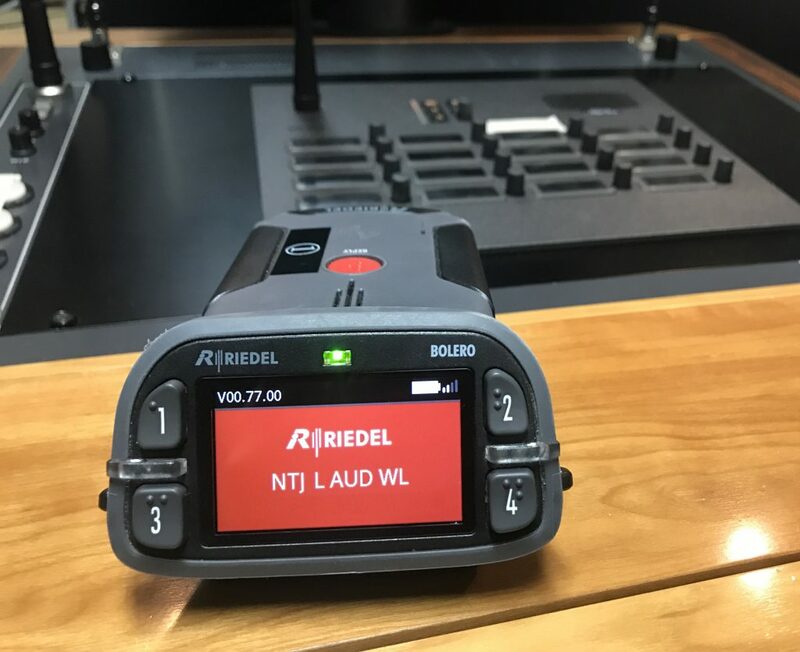 WUPPERTAL, Germany — Riedel Communications today announced that the National Theatre of Japan in Tokyo is using the Bolero wireless and Artist wired intercom systems across its two performance halls — a 1,610-seat theatre and a smaller 590-seat theatre — to enable flexible communications with crystal-clear audio quality. Staff across the theater’s technical department relies on the Riedel system to support the production of a wide range of traditional theatrical and musical performances. Two Artist systems with integrated Bolero wireless intercoms ensure reliable communications in both halls, connecting technical staff with their master control rooms (MCRs). By choosing Bolero for its wireless intercom, the theatre was able to reduce the number of antennas required, as well as the time and cost required to install them. The cost savings allowed for investment in an additional three beltpack units, for a total of 13. Tasked with the preservation and promotion of Japan’s classical performing arts, the National Theatre of Japan stages a wide range of performances deeply rooted in Japanese folk culture, ranging from traditional dance and dramatic performances to Buddhist chants or puppet theaters. In order to make them more accessible to contemporary audiences, these performances are gently modernized while respectfully maintaining their traditional character. By choosing a flexible and scalable solution based on Riedel’s flagship intercom systems, the National Theatre of Japan has effectively streamlined and future-proofed its production processes.